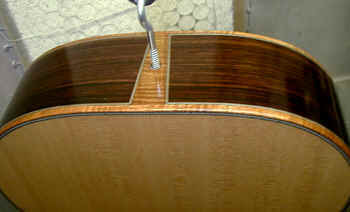 I generally use a contrasting end wedge which is outlined with a wbw purfling. These photos show some of the possibilities. the photos are all thumbnails - click on each one to see the full size photo.